Join an elite network of organizations all centered around improving their client's mobile engagement experience. Whether you're in the beginning stages of building an app, working to better acquire new users or grow your current customer base, our partnerships will help you elevate your mobile game. We suggest Localytics to our clients often. It lets us integrate mobile engagement strategies early in the product lifecycle to focus on long-term success. Dipak Prasad, Product Owner, Clearbridge Mobile Inc. The Localytics platform gives our clients a granular and detailed understanding of their customers, therefore enabling them to deliver personalised, contextually relevant experiences. 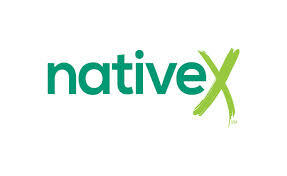 Localytics is an outstanding partner to collaborate with on joint sales and co-marketing opportunities. We refer business both way to maximize the value our customers get from both platforms. adjust provides app businesses with comprehensive business intelligence. adjust provides app businesses with comprehensive business intelligence through streamlined dashboards, displaying actionable metrics like per campaign ROI. Complying with EU Privacy standards, adjust is trusted by brands like Deutsche Telekom and Viacom, and advertising agencies including Vivaki, Publicis and GroupM. Kochava offers a holistic and unbiased approach to mobile attribution analytics and optimization with real-time visualization of campaign data from impression-served through conversion and lifetime value. 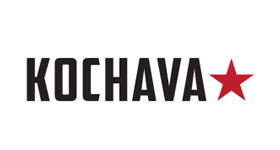 Kochava offers a holistic and unbiased approach to mobile attribution analytics and optimization with real-time visualization of campaign data from impression-served through conversion and lifetime value (LTV). With over 2000 publisher and network integrations including Facebook, Twitter and Google as well as industry-leading tools like Traffic Verifier, it's no wonder the best brands trust Kochava.a. 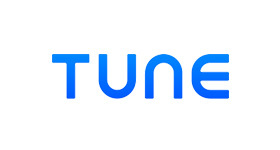 The TUNE® Marketing Console unifies measurement across user acquisition, discovery, retention, and engagement. Pollfish is a mobile monetization network delivering surveys instead of ads through mobile apps. Pollfish is a mobile monetization network delivering surveys instead of ads through mobile apps. Monetizing with surveys is a new interactive way for mobile app publishers to make money. Integration of Pollfish surveys SDK in an app takes less than 2 minutes and pays up to 20x more than classic ad networks, while users participating to surveys win gifts provided by the platform. Pollfish runs at the moment on more than 180,000,000 mobile devices all over the world. SEMBA is a b2b mobile commerce platform for IOS and Android. SEMBA is a b2b mobile commerce platform for IOS and Android. It is hosted in the Amazon cloud and comes with hundreds of features for mobile commerce. If you are a product company and require your own high-performance, native app for IOS and Android, but want to avoid the cost and complexity of developing and maintaining your app yourself, SEMBA is the solution for you. Supersonic is the mobile monetization and marketing platform trusted by the world's top app developers. Supersonic is the mobile monetization and marketing platform trusted by the world's top app developers. Leading the industry with video meditation, video SDKs and user acquisition technology, Supersonic drives effective user acquisition for its developer partners. Founded in 2009, the company has offices in San Francisco, Tel Aviv, New York, London, Beijing and Bangalore." Unique, relevant, and compelling visual experiences cross channels that display at-the-moment of engagement. Movable Ink creates unique, relevant, and compelling visual experiences across email, web, and display at the moment of engagement. With the power of Movable Ink, brands can free their data from silos to generate intelligent creative with millions of unique variations based on consumer context and behavior, third-party insights, and business logic. This intelligent creative is automatically generated in real-time, removing the production bottleneck that has historically prevented marketers from generating personalized images at scale. 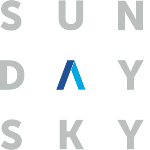 SundaySky is transforming the relationship between brand and customer through personalized video. SundaySky is transforming the relationship between brand and customer through personalized video. Our platform, built on proprietary SmartVideo technology, combines the power of video with personalized storytelling at scale to foster long-term customer relationships. The SmartVideo Platform lets marketers communicate to an audience of one and easily create, manage and optimize real-time personalized video programs throughout the customer lifecycle. Industry-leading brands partner with SundaySky to engage prospective and current customers, resulting in higher revenue, lower costs and deeper loyalty. AwareX is the global leader in digital customer engagement. AwareX is the global leader in digital customer engagement. Microservices integration platform serves Apps, Web, Voice and Bots which deliver superior customer engagement for service providers all around the world cutting their costs and driving up revenues. Secure cloud platform services to help businesses scale and grow. Fiksu is a data-fueled mobile marketing technology company that connects brands, agencies, and app advertisers to precise audiences throughout the customer journey. Fiksu’s mobile audience platform combines a massive dataset with powerful segmentation tools for awareness, user acquisition, and re-engagement campaigns. 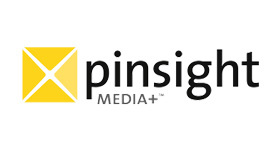 Pinsight Media+ is a mobile media company, powered by Sprint. Pinsight Media+ is a mobile media company, powered by Sprint. The company works directly with brands, advertisers and app developers to deliver unique mobile advertising, mobile commerce, analytics and other premium services leveraging its 50+ million customers and beyond. 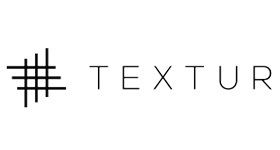 Textur is an automated data pipeline. Textur is an automated data pipeline. Textur loads your Localytics data, and other third party data, into a Redshift database and provides tools to build additional analytic structure on top of your raw data. Aarki is transforming mobile app marketing by unifying creative optimization and programmatic media. Aarki is transforming mobile app marketing by unifying creative optimization and programmatic media. It delivers superior results using proprietary machine learning technology for performance optimization. The company's customer base includes leading brands, agencies, and app developers. Headquartered in Mountain View, California, Aarki is a global company with offices in Beijing, Manila, New York City, Tokyo, and Yerevan. We are a Digital Marketing Agency specialized in Mobile Marketing. Proven expertise in mobile app campaigns & ASO; We plan and execute the right strategy to grow your app and outrank your competition. Kapitec Software is value added reseller. Kapitec Software is value added reseller. We resell software products in the following areas: load testing, functional testing, web analytics, and web development. Keystone Solutions is a Digital Agency focused on the fundamental credibility of Enterprise data. Keystone Solutions is a Digital Agency focused on the fundamental credibility of Enterprise data. We focus on the data integrity, implementation, QA, tag management, and other core elements of a successful measurement strategy. At Keystone we believe strategy is a process, not an event. It is the balance of human capital, technology, and process. It requires keeping an eye on the bigger picture and aligning the right vendors, tools, and solutions to grow with you. It is the art and science of proactive transformation and innovation versus a reaction to change. 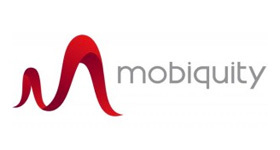 Mobiquity is a mobile engagement provider creating innovative solutions that drive business value. Mobiquity is a mobile engagement provider. We expertly blend the three key disciplines that are at the core of mobile computing: strategy, user-centered design, and technology. Since inception in 2011, we have worked with more than 200 companies, including CVS, Fidelity, The Boston Globe, The Weather Channel, and Panera. Rightpoint is an independent customer experience agency with technology at its core. We create impactful digital experiences driven by insight, strategy, design, and technology to help clients succeed at the speed of innovation. Rightpoint serves more than 250 Fortune 1,000 companies and has been named one of Crain's 50 Fastest Growing Companies in Chicago for four consecutive years. Rightpoint is the largest independent agency with 450 employees across 10 offices. Social Fulcrum is a performance-based digital marketing company. Social Fulcrum is a performance-based digital marketing company. 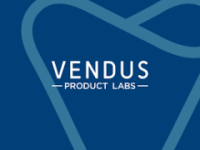 We use a structured agile approach to help venture-backed startups and highly visible brands accelerate new customer acquisition and grow rapidly. Through our proprietary software, high quality data and deep experience, online acquisition managers are reducing advertising costs by 60-80% while driving volume. We are a company that provides business processes automation services. We operate throughout Latin America, with multidisciplinary teams specialized in different areas such as marketing, sales, technology, strategic planning, development and management of business plan. Mobile optimize for native iOS and Android through A/B testing, Instant Updates, and Feature Flags. 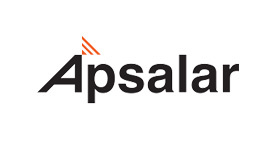 Apsalar offers a media-agnostic mobile analytics & audience platform. Apsalar offers a media-agnostic mobile analytics & audience platform that combines sophisticated marketing attribution, audience analysis, and user segmentation capabilities to power a true data-driven mobile marketing channel. 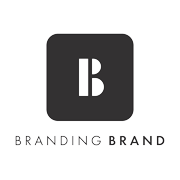 Branding Brand helps companies build digital experiences that create connections. Branding Brand helps companies build digital experiences that create connections. Our technology powers apps, sites, and digital signage for the world’s biggest brands in retail, hospitality, and B2B. Our services help with strategy, design, and development. Cheetah Digital is cross-channel marketing software that manages data for better decision-making to increase revenue. Cheetah Digital is an enterprise cross-channel marketing software company that helps marketers manage their data for better decision-making, send messages to customers to increase revenue, and that provides professional services expertise to execute complex marketing plans at scale. Cheetah Digital is truly dedicated to marketers. Everything we do is focused on the desired outcomes of our clients and their growth as leaders in their organizations. We have over 650 industry experts committed to helping clients with the strategy, execution, and performance of their marketing plans. We build mobile-first customer engagement platforms that transform the economics of influencing global consumers. We build mobile-first customer engagement platforms that transform the economics of influencing global consumers. We help our customers engage consumers in a far more intimate way through mobile advertising. We offer a suite of solutions based on the core principles of simplicity and scale to help engage, retain and grow your consumer base. Our focus on understanding consumer behavior and leveraging big-data to predict their actions enables us to offer these unique solutions. Jampp is a leading mobile app marketing platform. Jampp is a leading mobile app marketing platform. Our technology helps companies grow on mobile by driving and engaging users to their apps. 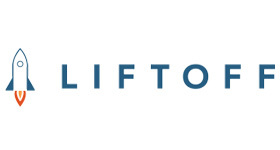 Liftoff is a mobile app marketing and retargeting platform. Marketo provides the leading engagement marketing software and solutions designed to help marketers develop long-term relationships with customers – from acquisition to advocacy. Headquartered in San Mateo, CA, Marketo serves as a strategic partner to large enterprise and fast-growing small companies around the world and across a wide variety of industries. We are a Mobile Advertising Platform with solutions for developers to insert rich media, native ad content to monetize their app creations. We are a Mobile Advertising Platform with solutions for developers to insert rich media, native ad content to monetize their app creations. Our advertising partners had direct access to Video, Display, and Offer Wall solutions. From business apps to infrastructure, Oracle delivers emerging technologies. Greystripe is a mobile advertising platform. Greystripe is a mobile advertising platform that provides smarter mobile solutions through full-screen ad formats, world-class data and proprietary cross-device targeting capabilities. With over eight years of mobile experience, Greystripe delivers the highest engagement rates for brand marketers, maximum revenue for publishers and app developers, and the best ad experience for users. 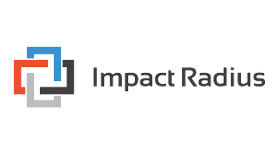 Impact Radius enables digital brands and agencies to maximize the return of ad spend across digital, mobile and offline channels. Impact Radius enables digital brands and agencies to maximize the return of ad spend across digital, mobile and offline channels. Our SaaS marketing technology enables marketers to have a singular trusted analytics view into all marketing efforts by collecting granular consumer journey data and marketing costs. Millennial Media is an independent mobile advertising platform company. Millennial Media is an independent mobile advertising platform company whose technology, tools and services help app developers and mobile website publishers maximize their advertising revenue, acquire users for their apps and gain insight about their users. Millennial Media works with advertisers to deliver ad experiences to consumers on their mobile connected devices. Rocket Fuel delivers a leading programmatic media-buying platform. Rocket Fuel delivers a leading programmatic media-buying platform at Big Data scale that harnesses the power of artificial intelligence to improve marketing ROI in digital media across web, mobile, video, and social channels. Rocket Fuel powers digital advertising and marketing programs globally for customers in North America, Latin America, Europe, and APAC. StrikeAd is a US and UK based mobile advertising company. StrikeAd is a US and UK based mobile advertising company, and developer of a dedicated mobile-specific advertising demand-side platform (DSP). The platform allows users to deliver powerful and effective mobile advertising campaigns in an efficient and cost-effective manner. StrikeAd's end goal is to allow users to better understand their audience, while simultaneously reaching them with the right message, at the right time and place. Taptica offers data-focused marketing solutions that drive execution and powerful brand insight in mobile, leveraging video, native, social and display to reach the most valuable users for every app, service, and brands. Cainkade is a full-service design and development studio with a mission to make products that matter. Cainkade is a full-service design and development studio with a mission to make products that matter. We work with companies large and small to bring experiences to life that delight, inform and improve people’s lives each day. 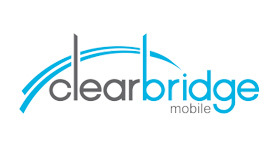 Clearbridge Mobile is a world-class team of mobile experts. Clearbridge Mobile is a world-class team of mobile experts that have created award winning solutions in the media, television, retail, healthcare, and banking industries. Whether building native, hybrid or cross-platform solutions, we manage the entire project lifecycle, from concept to delivery. Clearbridge has emerged as one of the fastest growing mobile app companies by working with startups and Fortune 500 companies like Disney, Dow Jones, The New York Times, ABC, USA Today, Wall Street Journal and others. CUBE LOCO is a digital publishing and app marketing company that understands users and their actions in your apps. CUBE LOCO is a digital publishing and app marketing company that understands users and their actions in your apps. CUBE LOCO provides several packages of services for its clients, including Multi Channel Publishing, App Analytics and Marketing, and Social Media Management. 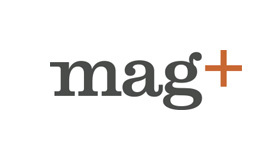 Mag+ digital publishing software covers every part of the app publishing process. Mag+ digital publishing software covers every part of the app publishing process: Design your content using simple tools; build you own branded mobile app on our web portal; and distribute your designed content to that app for end users to experience on their mobile devices. NorthBay Solutions is a full-service mobile and big data software development agency. NorthBay Solutions is a full-service mobile and big data software development agency. 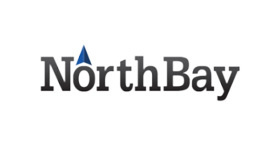 NorthBay provides architecture, design, development and QA services to enterprises that are in need of mobile applications, big data analytics and business intelligence solutions. NorthOut is a full stack software company specializing in Mobile and Web application development. NorthOut is a full stack software company specializing in Mobile and Web application development. We apply latest technologies, creative thinking and world class engineering process to create and build digital solutions for our clients. Our partnership with Localytics enable us in providing Real time analytics and help improve digital experiences for our customers. 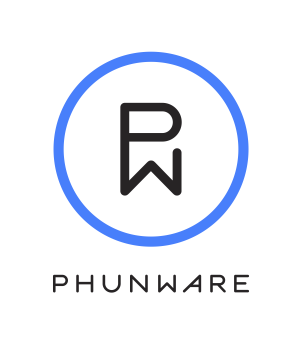 Phunware builds and powers the world's top apps, which helps differentiate its global mobile ad platform. Phunware offers iOS & Android application development platforms, category-defining mobile experiences & advertising solutions for leading brands and publishers. We are product pros with vast experience designing and shipping apps that are used by millions of people worldwide. We are product pros with vast experience designing and shipping apps that are used by millions of people worldwide. We started Rocket Insights to bring that expertise to the agency world. 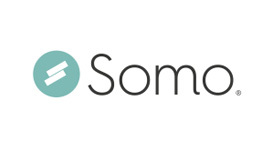 Somo is an innovation agency that delivers solutions for the connected world. 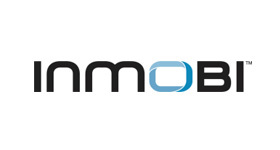 Somo is an innovation agency that delivers solutions for the connected world. We create, buy and optimise global marketing strategies for clients to reach and engage customers on mobile specific media, amplified through both traditional and digital channels. Our creative, award-winning campaigns ultimately exceed goals and expectations. Our work wins industry awards such as Brand Republic, MOMAs, Effective Mobile Marketing Awards, Webbys & many others..rs. TribalScale is a global innovation partner that helps enterprises adapt and thrive in the digital era. Our industry-agnostic product managers, designers, engineers, quality assurance engineers, and subject matter experts create digital solutions across web, mobile, and emerging technologies. We help organizations leverage technology so they can deliver an unparalleled and tailored user experience.We partner with large enterprises and teach them the practices and approaches needed to release digital products to market that satisfy their consumers. We build web solutions and mobile applications for enterprises and startups. We build web solutions and mobile applications for enterprises and startups. We have a team of around 30 web, ios, and android developers. Some of our enterprise clients include, Genentech and Stanford University. VenueNext is bringing unprecedented integration to both existing and new systems to amplify all that venues have to offer their guests. VenueNext is bringing unprecedented integration to both existing and new systems to amplify all that venues have to offer their guests. From sports to concerts, conferences to theme parks, and all large venues in between, the VenueNext technology platform and context-aware app provides deeper insight into guest behavior, and ultimate control over your entire ecosystem. VenueNext debuted in 2014 at the first home season game of the San Francisco 49ers at Levi's Stadium. Our team of experienced technical developers has worked for many great ventures including Google, Facebook, Dish Networks, Sling Media, AOL, Netscape and Oracle. Based in San Francisco, Silicon Valley, and New York, we thrive on solving the most difficult physical / digital integration challenges for venues. 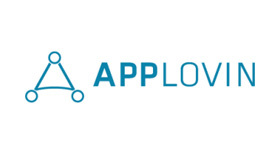 AppLovin's marketing platform provides marketing automation and analytics for brands who want to reach their consumers on mobile. AppLovin's marketing platform provides marketing automation and analytics for brands who want to reach their consumers on mobile. The platform enables brands to use real-time data signals to make effective marketing decisions across one billion mobile consumers worldwide. 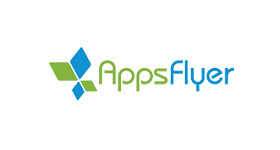 AppsFlyer is a mobile app measurement platform. BitBang provides Digital Analytics, Digital Intelligence and Customer Experience Management services. BitBang provides Digital Analytics, Digital Intelligence and Customer Experience Management services for companies looking for successful measurement and optimization programs in the multi-channel analytics space. BitBang combines technology, methodology and deep technical and strategic skills to achieve measurable results. BounceX’s People-Based Marketing (PBM) cloud is the first new revenue channel with scale in 10 years. BounceX’s People-Based Marketing (PBM) cloud is the first new revenue channel with scale in 10 years. We currently power thousands of digital properties, expanding across a multitude of industries. For the first time, brands and publishers have a meaningful paid channel outside of Google and Facebook. 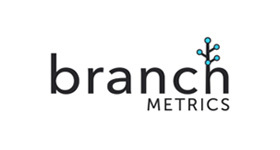 Branch is a deep-linking and tracking technology that helps mobile developers attribute app installs, optimize and create invite systems. Branch (branch.io) is a deeplinking and tracking technology that helps mobile developers attribute app installs, optimize and create invite systems, and do smarter in-app sharing through our unique device fingerprinting and deeplinking technology. We generate short URLs on the fly that pass and track data from the originating source through install (contextual deeplinking), across devices, and across platform. We use this technology to provide brands a deeper insight into app installs, more personal customer onboarding, and deeplinking through the install process. DemandJump enables marketers to find new customers with precision by locating untapped prospects 3-steps before. 6 billion searches are made each day. TrafficCloud® finds what matters. Method Mill allows brands to become data-driven with their decision making. Method Mill allows brands to become data-driven with their decision making. Your data can come from multiple sources and we unify it all into a single, queryable space. Then our analysis team identifies bottlenecks, pain points, and sources of frustration in your customer experience. From there we provide custom solutions and reporting to drive sales, engagement, and conversions. Optimizely is the world's leading experience optimization platform, providing A/B testing, targeting and multichannel optimization. Optimizely is the world's leading experience optimization platform, providing A/B testing, targeting and multichannel optimization for websites and mobile apps. The platform's ease of use and speed of deployment empowers organizations to conceive of and run experiments that help them make better data-inspired decisions. Optimizely meets the diverse needs of more than 8,000 customers looking to deliver connected experiences to their audiences across channels. To date, those customers have created and delivered more than 20 billion optimized visitor experiences. Return Path is the expert in deliverability. Scholarly iQ provides solutions that dramatically improve the quality of online usage reporting for publishers and librarians. Scholarly iQ provides solutions that dramatically improve the quality of online usage reporting for publishers and librarians. We have been a leader in COUNTER compliance reporting since 2002 and can help you manage and organize your data so you can be confident that your reporting is always accurate and on-time. We are fully committed to our customers and consistently provide the highest level of personal service. Stratigent, an Ebiquity company, are independent marketing performance specialists. Stratigent, an Ebiquity company, are independent marketing performance specialists. They enable brands across the world to make better informed decisions to improve their brand and business performance across integrated communications channels through strategy, implementation, and insight. Tapstream is rocket fuel for mobile apps. 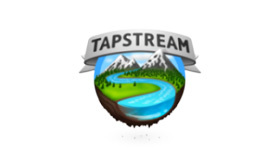 Tapstream is rocket fuel for mobile apps. From analytics, to deep links, and app invites, we provide tools to help you measure, engage and grow your userbase. Yozio is a platform for organic mobile growth. Yozio is a platform for organic mobile growth. Yozio's advanced tracking, optimization and personalization tools increase downloads, engagement and conversions for organic, non-paid channels (such as email, mobile web, SMS, and social). Facebook’s mission is to give people the power to share and make the world more open and connected. People use Facebook to stay connected with friends and family, to discover what’s going on in the world, and to share and express what matters to them. 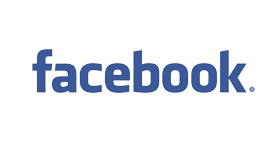 Facebook, Inc. is engaged in building products to create utility for users, developers, and advertisers. Twitter is a global platform for public self-expression and conversation in real time. Twitter (NYSE: TWTR) is a global platform for public self-expression and conversation in real time. By developing a fundamentally new way for people to consume, create, distribute and discover content, Twitter enables any voice to echo around the world instantly and unfiltered. The service can be accessed at Twitter.com, on a variety of mobile devices, and via SMS. 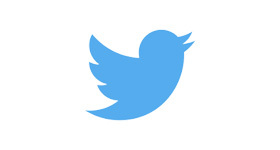 Available in more than 33 languages, Twitter has more than 302 million monthly active users. For more information, visit about.twitter.com or follow @twitter. Want your customer to be an app success story?